HSU Professor Dawn Goley describes the origins of the Punta Gorda elephant seal colony on the Lost Coast, and how it may be expected to grow in the coming years. 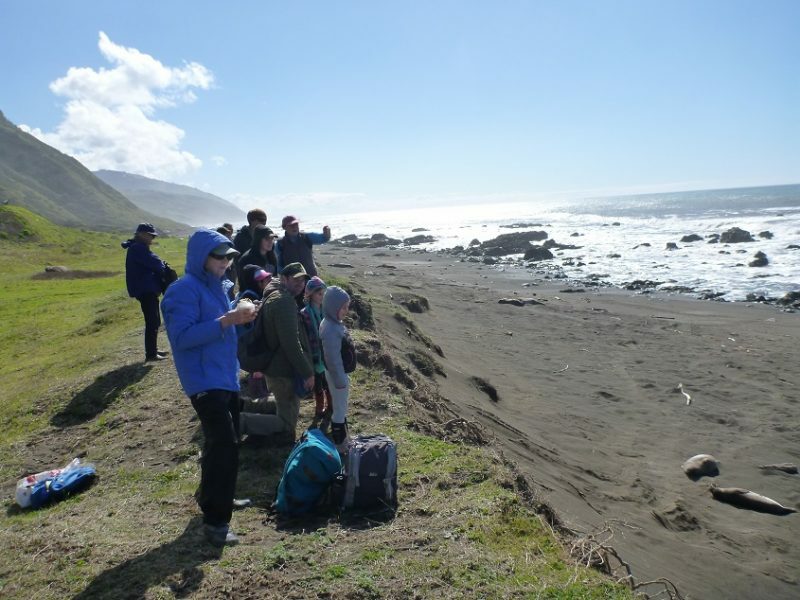 Young and older enjoy a close-up look at elephant seals in the King Range NCA, along with expert guides. 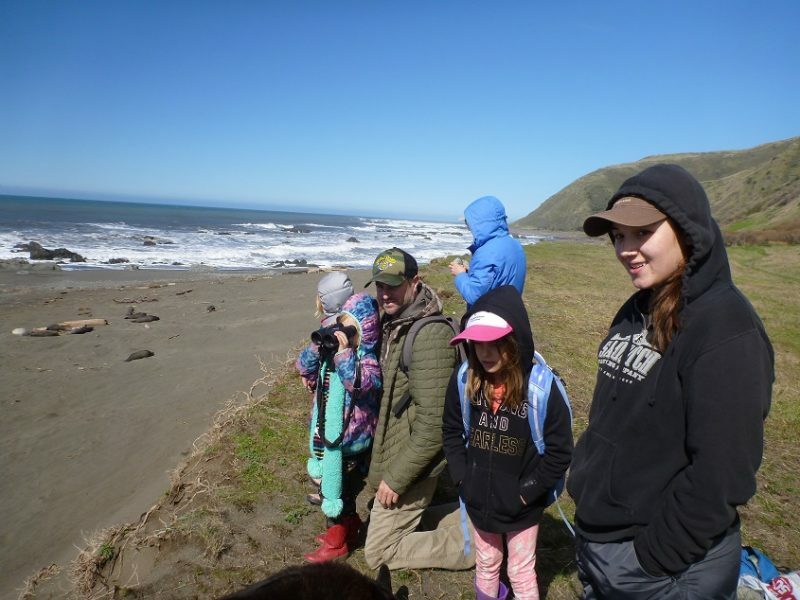 A beautiful day on the Lost Coast, a great day to learn about elephant seal ecology! Bring: Lunch, water, jacket, Notebook and Pen. Space is limited, so please contact Flora@Mattole.org if you plan to attend. 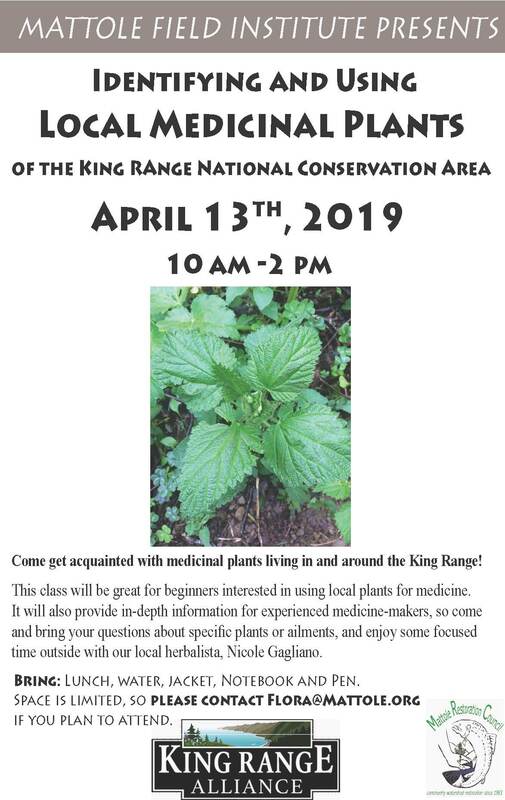 Come get acquainted with medicinal plants living in and around the King Range! This class will be great for beginners interested in using local plants for medicine. It will also provide in-depth information for experienced medicine-makers, so come and bring your questions about specific plants or ailments, and enjoy some focused time outside with our local herbalista, Nicole Gagliano. April 21st. Meet at Mattole Beach Trailhead at 6:40 A.M. Sharp! 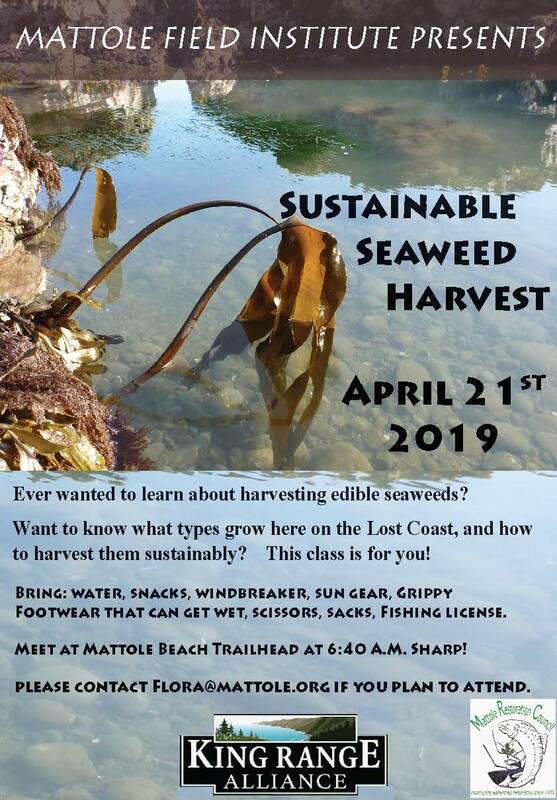 Ever wanted to learn about harvesting edible seaweeds? to harvest them sustainably? This class is for you! Footwear that can get wet, scissors, sacks, Fishing license. Meet at Mattole Beach Trailhead at 6:40 A.M. Sharp! Please contact Flora@mattole.org if you plan to attend. Are you motivated to learn, work hard, and make a valuable contribution to our environment and community? Nick’s Interns, A program providing work opportunities for high school students, is –Now Accepting Applications for summer 2019— DUE MARCH 29. As a paid intern, you will take part in a range of restoration and land management projects such as native grass seed collection, invasive species removal, trail construction, campground maintenance, steelhead dive surveys, salmon habitat enhancement and much more! Seldom do we meet those remarkable souls who so alter the foundations of our perspective that we dare refer to them as Teacher. Freeman House was certainly one of those souls. He was the Doyen of Mattole restoration thought and therefore action. He realigned, in an elegant, delectable way, the lens we use to view the place we live. And it stuck. And it was far-reaching. Freeman emphasized the need to engage all peoples in their places to reweave what had become a tattered tapestry of the land. Through his writings, speech, and humble presence, Freeman carefully constructed a manner of living in relationship with forest, river, and meadow. He not only studied the earlier traditions of local tribal peoples, but he launched a new and familiar way of honoring and implementing the work that the earth tells us needs to be done. He crafted homages to the ‘work’ as a model for generations. 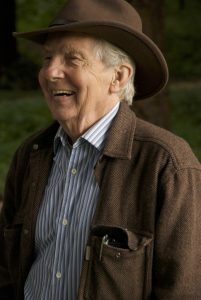 A longtime friend and restorationist, Bob Anderson, when asked what Freeman’s influence was, immediately replied, “Freeman’s gift was his ability to mainstream radical ideas.” Interesting that it was radical to muddle with spawning fish to increase their numbers or to negotiate the protection of an old-growth forest, or to out-slope rural ranch roads to decrease sediment, or to bring together disparate groups in a watershed alliance, or to cobble together conservation parcels in the middle of the watershed that would create a wildlife corridor from Humboldt Redwoods State Park to the King Range National Conservation Area. But in looking back, each one of these successes had been novel, and yes, radical for its time. Yes, Freeman knew that for true recovery to be sustained, it would take enlisting the people living in their watersheds to do the work, to take it on with gusto, and to align with the currents inherent in dynamic processes. 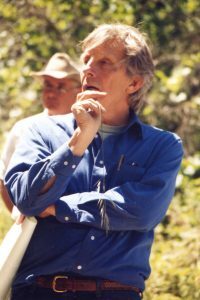 Freeman was an original founder of the Mattole Restoration Council (MRC) in 1983 in order to bring all the groups that were working in isolation in one watershed together to discuss projects, priorities, and philosophies. Originally a 13-member council of groups, in 1998, under his direction, the MRC metamorphosed into an organization that implemented a myriad of projects – much as it continues to this day. Any attempt to encapsulate the legacy he left our community, or to other restorationists, would never be deep enough, hallowed enough, or complex enough, all traits which he embodied completely. So I turned to his friends. 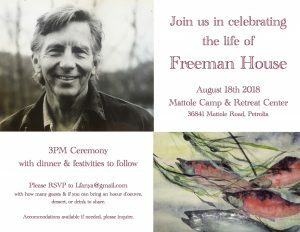 And from Jerry Martien, close friend and North Coast poet: “Freeman House’s theory and practice was essentially this: restoration and recovery can’t be done from the outside. Both for the watershed and the person, it has to come from within. Freeman always seemed to be speaking—and writing—and acting from the heart. He also listened from the heart, and was constantly conducting and sharing his own scientific and cultural education. To be formulated, spoken about, and practiced, he would insist, in the vernacular—in terms that express a local culture. He was a dedicated naturalist and a full-on advocate for salmon’s place at the center of that culture, in the Mattole and throughout the Northwest. He was also a Digger, and saw that theater and music, dance and poetry could express those priorities—again, from the heart—and so nourish person, community, and place. He gave himself to that task. In his essay “Afterlife” he provided his own memorial: The Earth will claim me as its own. Which I am. “In the fall of 1981, over 40 residents of various parts of the Mattole, having been trained in the then-esoteric craft of salmon species and redd identification, pulled on waders and spread out over the valley. It was the beginning of what was no doubt the first systematic survey of the spawners of an entire watershed to be conducted exclusively by residents of that watershed. It’s hard to recollect today that, back in 1981, these were far-out ideas and audacious acts. Even referring to the Mattole as a ‘watershed’ was new and mildly wonkish, but turning over the abstruse work of gathering accurate biological data that could help a wild species survive to a bunch of backwoods yokels like us? That was outright radical. Freeman House, co-founder of the Mattole Salmon Group and the Mattole Restoration Council, was not exactly a raving radical. He had indeed participated quite willingly in cultural events in the 60s and early 70s that sorely challenged existing paradigms. By the time he joined us here in the Mattole, though, to help build the watershed restoration idea into one of the central social movements of our times, his relationship to his fellows was typified by a quiet dignity and an exceptional conscientiousness. These traits would prove essential to the job ahead. He was, of course, a grand writer. He was also a truly inspired watershed administrator. “I walk in a world I have come to understand as mutable, ever-changing. My walk on the next morning carries me into streaming fog blowing off the Pacific into my face. The chill of it shortens my planned route and makes me wonder just how wide that line on that map that divides water from land should be. The rolling hills around me seem still, but I know that they are not. All the land within my view is called by geologists an accretionary prism. In plainer language, the seemingly solid ground under my feet is made of rubble scraped off the Gorda plate as it dives beneath the North American plate. Such knowledge is occasionally enlivened by an adrenal rush that is a response to the rumble and roll of the earth, or by a series of sharp jolts that knocks the jars off the shelves in my home. It is the mountains around me rearranging themselves. No Freeman, you are not alone. Welcome Nathan Queener, our new Executive Director! We are very pleased to announce that Nathan Queener has been selected as our new Executive Director, starting December 15. Nathan is an ideal fit for this position. He has been working with the MRC for over 10 years, and is currently our Watershed Information Science Program Director. His role has included designing and implementing approaches to monitoring instream sediment conditions in the watershed, and analysis of stream habitat conditions. Nathan has been deeply involved in restoration projects throughout the watershed, and brings extensive experience and knowledge to his new position. In addition, Nathan holds a Master of Science from Humboldt State University in Watershed, Wildland, and Forest Science. 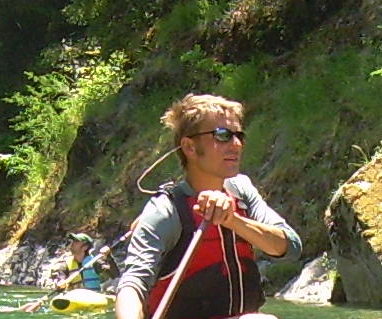 Prior to his experience in the Mattole, he has worked as a field biologist and researcher, trek leader, and data specialist in Montana, Idaho, and Arizona. Welcome Nathan, we look forward to this new chapter! You can contact Nathan at nathan@mattole.org, or reach him at our office at (707) 629-3514. 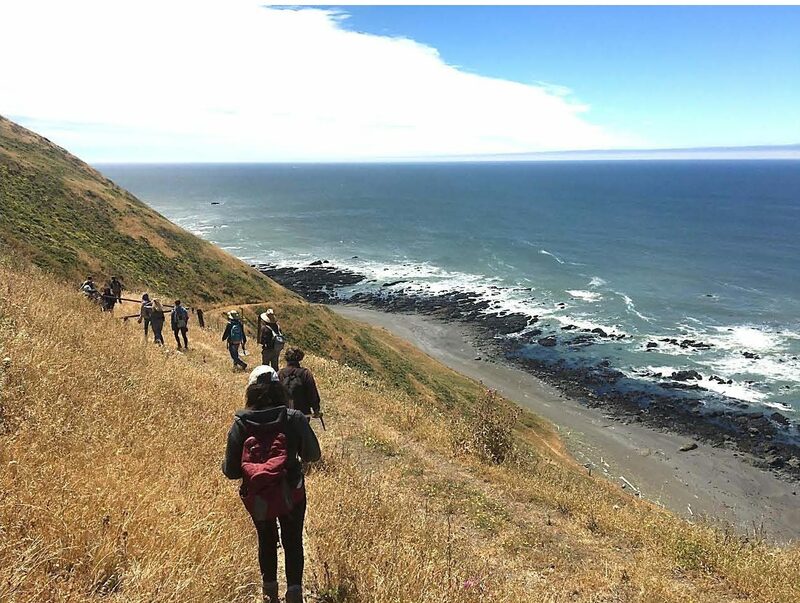 The Mattole Restoration Council, a watershed restoration non-profit on the Lost Coast of Northern California, seeks an Executive Director to lead our long-established organization of 12+ regular staff. The MRC is one of California’s oldest watershed councils, and works to restore and increase resiliency of the North Coast’s rural and remote Mattole River watershed. The MRC undertakes landscape-scale watershed restoration to improve salmon habitat, forest, woodland, and grassland ecosystems, and to promote a stewardship land ethic. For more information about our programs, please visit www.mattole.org. Ideal candidate will have demonstrated success in: programmatic fundraising; non-profit and personnel management; and establishing dynamic relationships with a broad base of stakeholders. Candidate should also have a commitment to community-based restoration and conservation, a background in ecology/biology/geography, a familiarity with watershed restoration strategies and methods, and a strong sense of self-direction and self-organization. Full to half-time employee (negotiable), reports to the Board of Directors through the Chair, and is responsible for overseeing the staff implementation of the policies and strategic direction set forth by the Board. The position is based in the Petrolia office, but also requires periodic travel to various field and meeting sites around the watershed, and occasional travel around California and beyond, including Sacramento and San Francisco. Valid driver’s license and functioning personal vehicle is required. Compensation commensurate with experience. To apply, please email a cover letter and resume to Cassie Pinnell, at cassie@mattole.org. Position is open until filled. Work with the Board to assure that the organization has a realistic Strategic Plan which achieves its mission, and toward which it makes consistent and timely progress. Create, shape, and maintain programs and projects in accordance with the Strategic Plan. Oversee six staff members: One Program Director / Coordinator for each of MRC’s four programs, and the two administrative staff positions. Approve timecards and conduct annual performance reviews for the six direct reports, work out timecard and performance issues as necessary. Serve as the top-level Safety Officer for MRC, supervising the Program Directors/Coordinators in their capacities as either direct field supervisors or supervisors of field supervisors. Participate in all Board of Directors’ meetings, provide written monthly report to Board on the Council’s programmatic activities, financial status (reports will be provided to ED by bookkeeper), and all other substantial organizational news, participate in Board committees as needed. Implement MRC policies as adopted by the Board. Regularly review the policies and make recommendations to the Board for needed modifications as the organization evolves. Arbitrate internal disputes via the Grievance section of the Personnel Policy. Develop and Oversee MRC’s volunteer program. Work with project managers to recruit, engage, and track volunteers. Work with administrative staff to ensure that proper policies and procedures are in place and implemented that represent best practices for incorporating volunteers into MRC’s work. Ensure that the MRC complies with all legal employer requirements. Work with staff and board members to maintain financial support for the Council through diverse funding sources, while ensuring that each program has adequate resources to complete its work. Maintain positive relations with agencies, foundations, and private funders. Oversee the Council’s membership program, and work to grow the membership and overall donations. Work with program staff, Board, and community members to identify new project opportunities. Prepare grant proposals and outreach materials, as necessary to maintain program funding. Serve as the primary community liaison for MRC. Regularly visit field work operations. Meet with field crews, contractors, and participating/prospective landowners to positively represent the Council and our work, listen to concerns, and identify ways to address them. Maintain positive relations with Mattole landowners and residents. Serve as the primary public representative of the MRC. Handle media appearances and community presentations as needed. Ensure positive representation of Council activities, staff/Board/volunteers, and MRC’s positions in the Mattole community, media and MRC publications. Serve as the primary liaison between MRC and the other two organizations of the Mattole River and Range Partnership: Mattole Salmon Group and Sanctuary Forest. Seek to maintain a positive, productive, and clear partnership while representing MRC’s particular interests. Periodically attend meetings of other Mattole watershed groups to foster mutual understanding between MRC and its community such as Mattole Grange, the volunteer fire departments, schools, the Buckeye, other local nonprofits, etc. Attend and conduct appropriate outreach at community events. 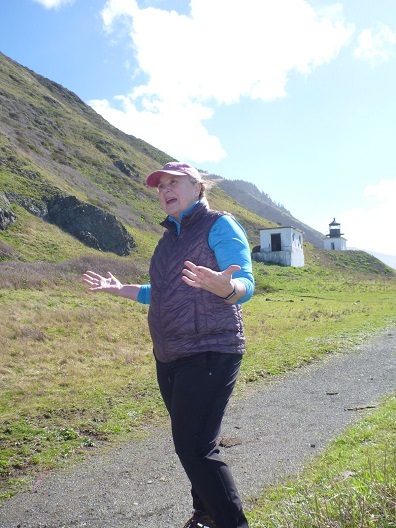 Contribute regular letters to the readership of the Mattole Watershed News that serve to foster positive community relations and understanding. Cultivate relationships with local journalists, submit periodic press releases. Strategically use the Mattole Google Groups, public radio Community Announcements and the various public bulletin boards in the watershed to communicate with Mattole residents. Reach out to new or seldom seen landowners. Provide informational mailings to new landowners. Meet with or otherwise correspond with these individuals at their convenience for outreach and listening. 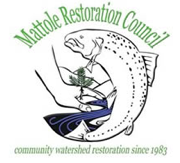 Conduct periodic community “salons” to discuss Mattole restoration topics and allow a regular forum for community members to learn more about MRC’s current work and to provide MRC with feedback. In these and other public communication forums articulate a compelling vision for the restoration and stewardship of the Mattole. Maintain positive relations with government agencies with jurisdiction in the Mattole. Ensure excellent “customer service” in all MRC fee-for-service programs. Participate in regional networks of restoration practitioners to understand and apply emerging concepts in watershed restoration, for example SRF, NCRLT, RCAA, ACCW, etc.. Provide effective representation of the Council’s interests in local, state and federal policymaking arenas. Attend Mattole Technical Advisory Committee meetings. As possible and as funding is available, engage in direct contract / grant project work. Maintain lines of credit and other loan sources as needed to manage cashflow. Monitor cash needs and access lines of credit as needed. Oversee bookkeeper production of annual 990 tax return; sign and submit on behalf of MRC, along with all other legally required government submittals. Maintain sound system of internal controls, procurement, and accounting procedures. Maintain and refine/update as needed MRC Financial Procedures and Contract Management Procedures documents. Manage staff, accounting and IT systems accordingly. Support administrative staff as needed to review/renew/shop out all needed organizational insurance policies including worker’s comp, general liability, and D&O insurance. Review monthly financial reports, as prepared by bookkeeper. Work with staff to create sound organization-wide annual budget (based on amalgamation of all anticipated project budgets with their associated GL-level detail of revenue and expense) for adoption by the board prior for each fiscal year. Oversee management of MRC’s revenues and expenditures to adhere as possible to the annual budget. Apply business logic and management strategies to help MRC meet its financial goals. Ensure MRC meets all contractual obligations. Oversee all contract managers to promote sound management of all funding contracts and subcontracts. Serve as a primary signatory on all bank accounts. Serve as Code Manager for funds including annual budgeting, revenue seeking, and expenditure approvals. Review and approve pre-payroll reports and sign all employee paychecks each payday (with support from other signatories as needed). Review and approve all annual Blanket Purchase Orders with spending caps in line with the annual budget. Review all current Payment Requisitions each week, prioritize, decide, and approve for payment PRs as cashflow allows. Ensure employee benefits are properly accrued, tracked, and communicated through MRC’s payroll system, and remain in compliance with the Personnel Policy. Chair the staff-level Financial Committee, maintain a highly functional team of financial management staff. Retain HR consultant to advise on any legal changes or questions regarding human resources. Serve as staff main point of contact for any HR needs. Ensure MRC maintains all legal statuses needed for operations, such as its Contractor’s License. The last 4.5 years at the Mattole Restoration Council have been a time of great excitement, rewarding challenges, and meaningful experiences. I have deeply treasured this opportunity to work with you all towards the improved health and sustainability of the Mattole River watershed. However, I am writing to let you know that I have accepted a position with a private company in Sacramento. There, I will continue to work towards the improved health and function of California’s natural systems on a larger scale. While I am excited about this opportunity, it is difficult leaving you all and the wonderful work that we’ve done together. Over the last 35 years, the MRC and its partners have accomplished an incredible amount through tireless dedication and innovative models of community-based partnerships. I have learned so much from my time here, and will draw on these lessons as I move into working in other watersheds. Moving forward, I am committed to supporting a smooth transition, and we do not anticipate any changes to existing programs or projects. The MRC board is cohesive and focused, and the MRC staff has proven time again that they are capable of accomplishing extraordinary tasks through endless creativity, commitment, and professionalism. We hope to identify and hire a new Executive Director by mid December, during which time I will transition out of my current role. I look forward to watching the MRC grow and continue to improve the health of the Mattole. Thank you for the opportunity and pleasure of working with you all. Salmonid Restoration Federation (SRF), Sanctuary Forest, Mattole Restoration Council, and the Mattole Salmon Group are coordinating the 20th Annual Coho Confab that will take place August 24-26 in the beautiful Mattole river valley in Humboldt County. The Coho Confab is a field symposium to learn about watershed restoration and techniques to restore and recover coho salmon populations. The Confab provides an ideal opportunity to network with other fish-centric people and to participate in field tours that highlight innovative salmon restoration practices. This event is partially funded by California Department of Fish and Wildlife’s Fisheries Restoration Grant Program and scholarships are available. The Coho Confab will open Thursday evening, August 24 with a community dinner and inspiring keynote presentations from Geneticist Carlos Garza of NOAA Fisheries who will address prospects for recovery and restoration of coho salmon in California. Sungnome Madrone, Executive Director of the Mattole Salmon Group, will present on landowner stewardship incentives. 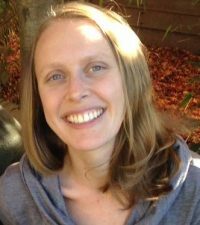 Tasha McKee, Program Director of Sanctuary Forest, and Elijah Portugal of Redwood Community Action Agency will give a joint presentation on what we can learn from beaver structures and apply towards salmon restoration planning. “The Confab is a great opportunity for practitioners, landowners, and planners to convene and strategize about restoration opportunities to improve coho salmon populations.” – Dana Stolzman, ED, SRF. 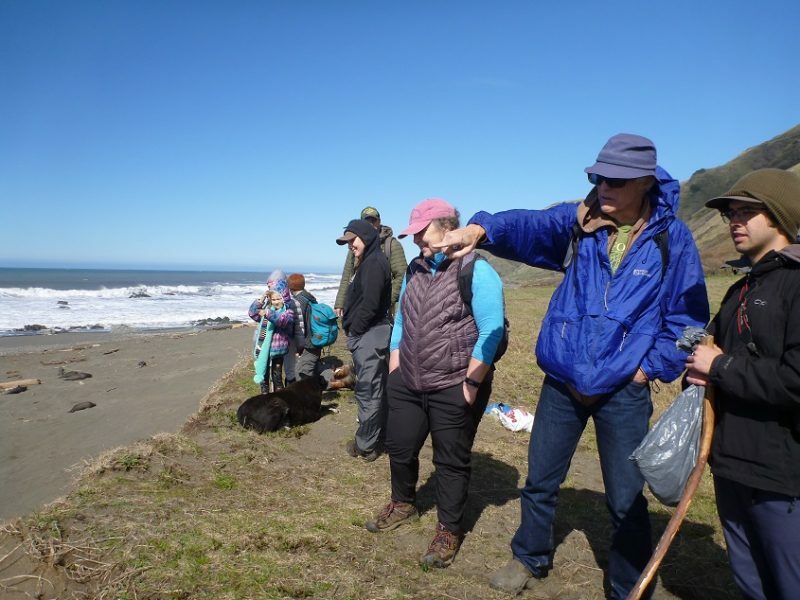 Friday will include concurrent morning field tours including a Mattole estuary tour to see heliwood placement, terrace margin treatments, off-channel slough restoration, and bioengineering techniques. There will also be a Prosper Ridge prairie tour to showcase grassland reclamation and fuels reduction in King Range coastal prairie systems. After the morning tours, we will all corral up at the historic Mattole Grange for afternoon concurrent workshops including Coho Recovery Planning from state, ESU (Evolutionary Significant Unit), and watershed level with coho recovery coordinator from the Southern Oregon Northern California Coast ESU, Julie Weeder, Carlos Garza, and Sungnome Madrone. Additionally, there will be a stewardship workshop for landowners including tools and resources for road improvements and water conservation. This workshop will feature several resource professionals including Matt Clifford, JD, of Trout Unlimited who will address water rights and water conservation planning, Tom Leroy of Pacific Watershed Associates to address Best Management Practices, and Cassie Pinnel, Executive Director of the Mattole Restoration Council. This is a great opportunity for landowners to participate in a constructive dialogue about stewardship obstacles and opportunities. On Friday night in Confab tradition, we will share a farm to table feast, have a lively campfire, and an impromptu talent show or cabaret. The last day of the Confab will include two concurrent field tours including Beaver Dam Analogues and Groundwater Recharge Planning in the Mattole Headwaters with Tasha McKee and Elijah Portugal, and a Lower Salt River Restoration tour in the Eel River estuary that will be co-led by fisheries biologist, Ross Taylor, and Allen Renger of California Department of Fish and Wildlife. Registration fees cover field tours, workshops, meals, and camping. To register for the Confab or to view the full agenda please visit our website: http://www.calsalmon.org.